It’s no secret: Black Panther is one of the must-see films of 2018. The impending superhero movie will give one of Marvel’s most beloved heroes their first solo outing, but fans are already asking for more. Luckily for them, the president of Marvel Studios is more than open to Black Panther sequels. Its first film isn’t even out yet, but Kevin Feige was asked about the chance of Black Panther getting a sequel during an interview with Variety. The executive producer opened up about the intense fan response to T’Challa’s solo outing, and Feige said there is a lot more to Black Panther than this first movie could cover. However, Marvel Studios is taking the franchise one feature at a time. “We always say we work on one movie at a time. If you have any good ideas, put it in the movie you’re making. If you don’t, you might not be able to make another one,” Feige stressed. “That said, Panther has been around for more than half a century in the comic books and there are many, many stories to tell. Later in the interview, Feige was asked if Marvel Studios would want director Ryan Coogler to oversee any sequels, and the producer gave a resounding yes. “I hope so,” Feige said before saying he “absolutely” wants the director to come back for another film. It’s not hard to see why Feige and the Marvel Studios team are ready to back Black Panther. The film has yet to debut in the US, but its hype is hard to overlook. Right now, the movie is tracking for a whopping $170 million opening weekend after breaking pre-sale records for tickets. Critical reviews and social media buzz for Black Panther have been nothing but flattering, and much of that success is due to Coogler’s vision. So, if Marvel Studios wants to conjure up this kind of magic for a sequel, it will need the acclaimed director on its side. 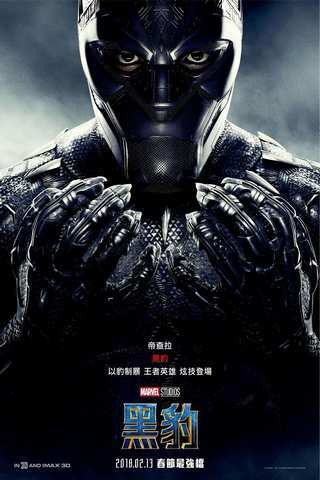 Directed by Ryan Coogler, Black Panther stars Chadwick Boseman, Danai Gurira, Lupita Nyong'o, Michael B. Jordan, Letitia Wright, Daniel Kaluuya, Winston Duke, Martin Freeman, Angela Bassett, Andy Serkis, and Forest Whitaker. Black Panther hits theaters on February 16. Will you be seeing it? Hit me up on Twitter @MeganPetersCB to let me know and talk all things comics, k-pop, and anime!